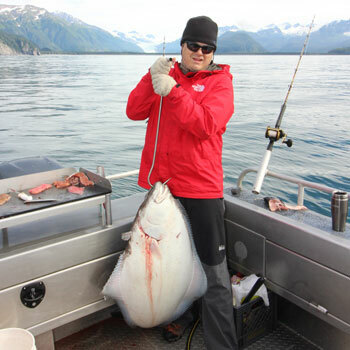 Pacific Halibut reside in the deep, cold nutrient-rich waters off the western and Eastern sides of the Kenai Peninsula. 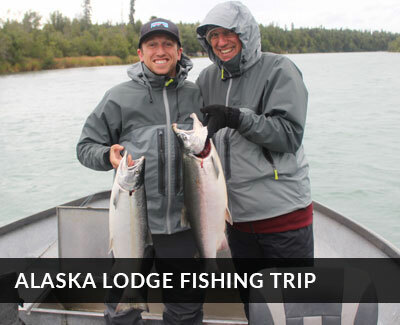 Few places in the world can boast of two completely separate and unique saltwater Halibut fishing locations to target from a single location.....at Great Alaska Adventure Lodge our Alaska Halibut fishing trips offer just that. 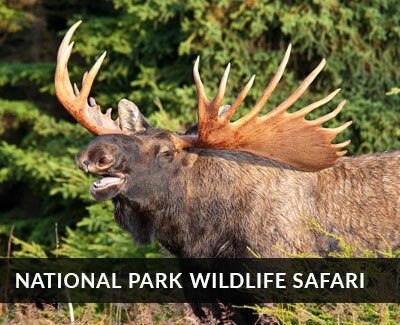 Seward, Resurrection Bay, Kenai Fjords National Park and Prince William Sound is a truly spectacular place to spend a day enjoying Alaska's fine game fish and incredible nature. 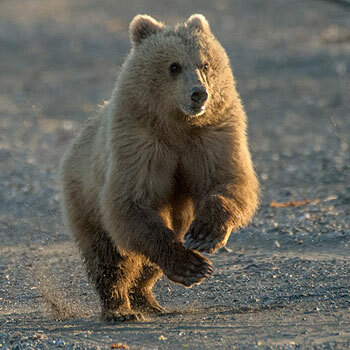 Later in the season, we add our longer trips in Kenai Fjords National Park and target the Halibut in Resurrection Bay and Prince William Sound’s beautiful waters. 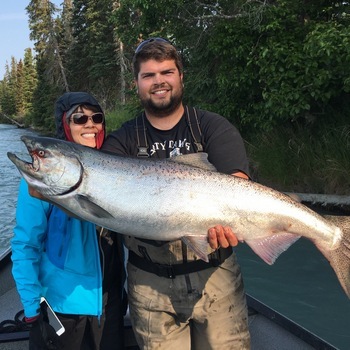 In addition to the popular Halibut, Ling cod, Black Bass, Silver salmon and occasionally even King Salmon all are caught aboard our beautiful custom aluminum charter boat ”The Fair Chase”. 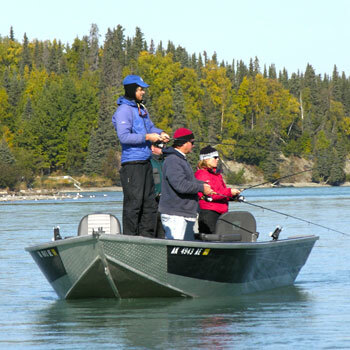 Running 4 stroke Yamaha outboards, our custom- built aluminum Glacier Craft sport fisher (designed and built in Alaska, for Alaskan waters) is fast, safe and comfortable and features the latest electronics and a bathroom. Your captain and mate and only 6 anglers will plumb the depths of gorgeous Prince William Sound, Aialik Bay, Resurrection Bay and more. 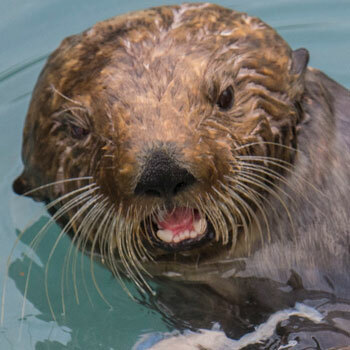 Stunning surroundings, Glaciers, whales, Sea Otters, Puffins and one of the world’s best-tasting fish make this one of our most popular days on the water. Unlike the even and sandy bottom of Cook Inlet, Resurrection Bay and Prince William Sound is full of structure, and the tides are more moderate. this makes jig fishing outstanding in many areas. 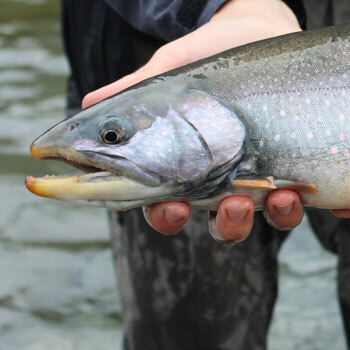 In addition, many more salmon return to Prince William SOund, so the "mixed bag" nature of the fishing is one of it's most enduring traits. With a much more moderate tidal swing (commonly between 7 and 12 feet) with innumerable pinnacles, trenches, troughs and drop offs, which all combine to provide an incredible environment for Ling Cod, True Cod, Yellow eye Rockfish (red Snapper), black bass Silver, King and Pink Salmon plus much, much more. 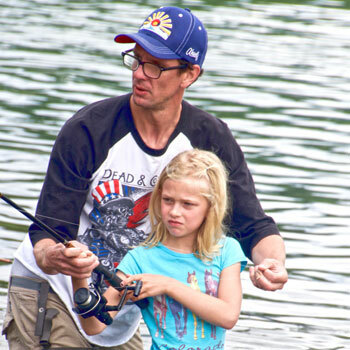 Literally each trip to the bottom with your bait may mean a different species- you simply never know what you are going to catch! 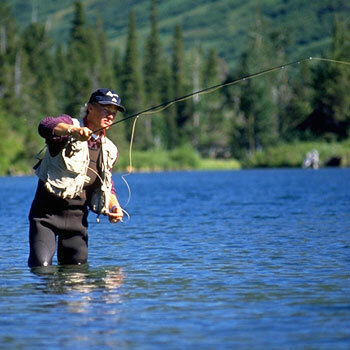 In addition to the great variety of fishing, the incredible marine environment makes the day worthwhile. 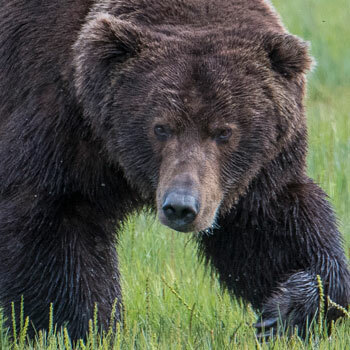 Gray, Minke and Pilot Whales, Stellar Sea Lions, Sea Otters, Puffins and much much more will accompany you on your journey into the crown jewel of Alaska waters. These trips are truly one of a kind and oftentimes some of the most memorable experiences for the guests. 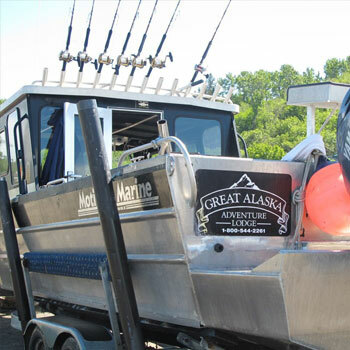 Being the entrance to Prince William sound and the Gulf of Alaska, we can and do encounter rough weather at times and our 29 foot custom "Glacier Craft" with the latest in electronics, handles it as well as any fast charter boat in Alaska. 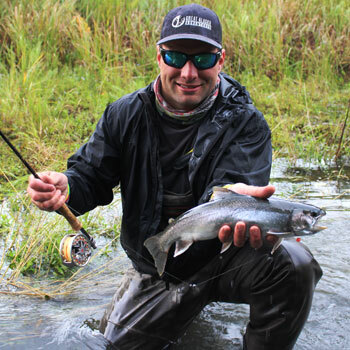 In addition to our amazing offshore Halibut, bottomfish and Salmon fishery in Seward, check out our Deep Creek Halibut fishing in Cook Inlet here.